Reuben Archer Torrey (1856-1928) was at one time early in his Christian life a higher critic. Yet, during a year of study in Germany, he rejected that philosophy, and he later became one of the leading thinkers among the early Fundamentalists. 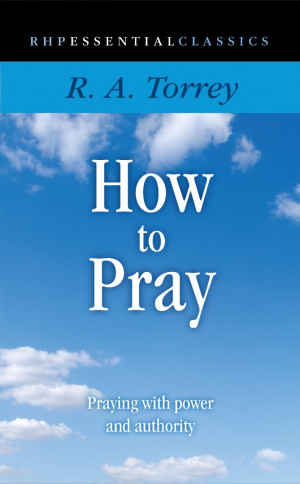 How to Pray by R.A. Torrey was published by Rickfords Hill in August 2010 and is our 289th best seller. The ISBN for How to Pray is 9781905044207. Be the first to review How to Pray! Got a question? No problem! Just click here to ask us about How to Pray.